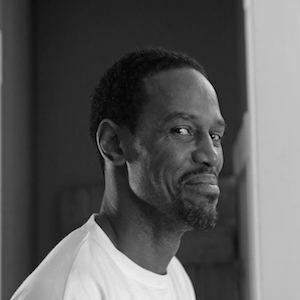 Mr. Kelvin Belton is a co-author of Writing Our Way Out: Memoirs from Jail, the creative culmination of a writing class in which ten men explore the conditions, traps, and turning points on their paths to imprisonment as well as the redemptive power of memoir. Belton is also a program coach in Writing Your Way Out: A Criminal Justice Diversion program, where he mentors low-level offenders in their writing and life skills. Belton is a Richmond native, an entrepreneur, and a basketball coach for Blacktop Kings and Queens.